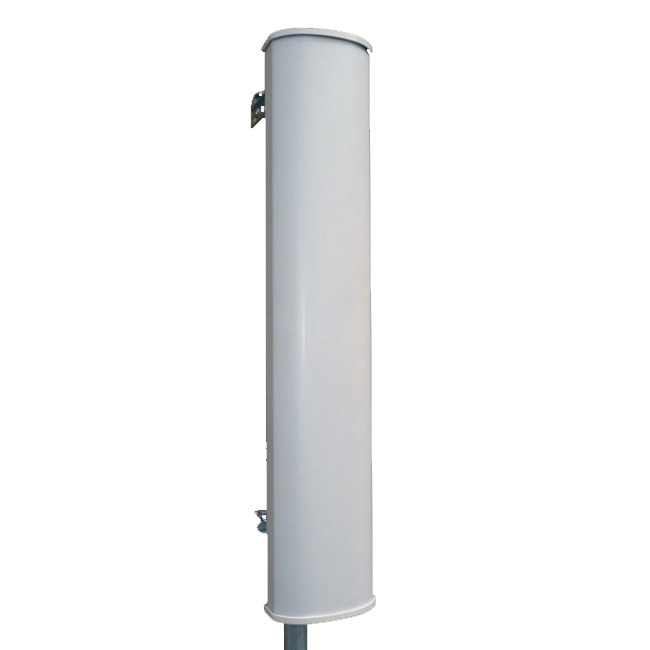 2GHz ± 45 Degree Slant Dual Pol 15 dBi 120 degree sector with 2 N connection. KP Performance Antennas is producing the product leading dual pol sector antennas out there today. Our KP sectors will provide you the consistent coverage you need to offer quality service. The sector is specifically designed for customer deploying 45 degree slant radios. The KPPA-2GHZDPS90 & KPPA-2GHZDPS65 antennas comes with heavy duty mounting brackets with an easy attach system, stainless steel hardware and two shielded LMR 200 N to N pigtails for increased performance. These sectors have an exceptional F/B ratio and the performance you have come to expect from KP Performance Antennas.